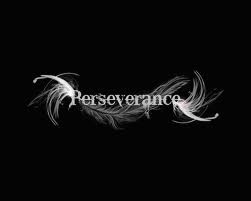 The apostle Paul often wrote about perseverance. He urged believers not to tire of following Christ and doing good, even when persecuted. The reason was that in time, their faithfulness to plant seeds would produce an amazing harvest. If anyone had a right to say that, it was Paul. He'd been beaten, stoned, whipped, and driven out of town. He'd survived riots, shipwrecks, illness, and abandonment. He had a thousand reasons to be disheartened and want to give up, yet he knew his obedience to God wasn’t in vain. Some might surmise, Well, it doesn't look as if he reaped much: he was persecuted, moved from prison to prison, and eventually executed. But if we assume that rewards come only in material terms, we miss a powerful truth. Consider the awesome harvest that actually resulted from the apostle's faithfulness. For one thing, the gospel spread across the Roman Empire, and the early church grew far beyond the Jewish world. And the seeds Paul planted by writing his epistles resulted in billions of lives being radically changed. Any strength we draw from these letters is fruit of the hardships he endured. Yet when he urged believers never to tire of obeying the Lord, he didn't know the full extent of the impact his life would have. He just believed in the power of faith. Do you realize how impactful your life is? Don't be deceived by Satan's lie that your suffering or obedience will amount to nothing. Here's the truth: Your faithfulness to God never goes to waste--it's making an eternal difference in someone's life, whether you know it or not.